I am dad’s caregiver. I take off every Tuesday afternoon to relax and have time for myself. I go to the hairdresser, run errands, shop, etc. It doesn’t do any good; I’m still exhausted. Is it always going to be like this? Caregiving is physically and emotionally exhausting. Our bodies and minds need time to rest and rejuvenate and if you’re running errands, you aren’t doing either one. 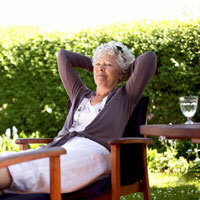 Try to schedule an additional ½ or full day of respite each week. This will give you time for errands and time to rest and relax. Also, be sure to make an appointment with your physician to discuss your exhaustion.